Charles Butcher, a butcher, who gave his home as Butchertown, was the next witness. 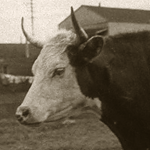 He had heard no threats against Beckman’s life, but he remembered an incident of last Saturday, when O’Leary visited the slaughter-house where Beckman is employed and invited him to step outside. Butcher had also heard some talk of collars and neckties. O’Leary took the stand and was asked if he had any longings for his divorced wife. “You bet not”, he replied. As to the trouble, he said, it was all about collars and neckties. O’Leary does not wear those evidences of effete civilization. According to his story, Beckman had said to his acquaintances: “I don’t like the style of O’Leary and I’m going to make him a present of a collar and a necktie.” When O’Leary heard this, he went to Beckman and threatened to break the Beckman jaw if it was used in the utterance of further comments reflecting on the O’Leary disregard for things esthetic. The former husband of Mrs. O’Leary admitted that he had trouble with her at Sixth and Howard streets about a week ago. “Didn’t she break an umbrella over your head?” asked Attorney Arthur Mack. O’Leary denied having any desire to slay Beckman. All he wanted was the privilege of wearing soft shirts without neckties. Following this declaration he was instructed as to his constitutional rights and the case was dismissed. Giuseppe Paolo (Joe) DiMaggio Jr. was born on this day across the bay in Martinez, the eighth of nine offspring of a Sicilian crab fisherman. Around the time of little Joe’s first birthday, the family moved to San Francisco, to the Italian enclave of North Beach. They settled on Taylor Street near the old North Beach Playground, where Joe got his first taste of baseball at the age of ten. There was little sign of the great baseball player that he would one day become. Joe wasn’t crazy about school either — dropping out of Galileo High at age 16 — but as a teenager, baseball was starting to grow on him. His older brother Vince was already playing ball for the San Francisco Seals, and suggested that his kid brother be given a tryout. Well, Joe made the team. Sports writers described him as â€œa tall gangling youngster, all arms and legs and like a frisky colt”, but with a bat in his hands, Joe DiMaggio was dangerous. He lit up the Pacific Coast league in 1933, setting a 61-game consecutive batting record in his first season and becoming a Bay Area favourite. The minor league Seals were just a stepping stone, though, and Joe was quickly on his way to superstardom with the New York Yankees. 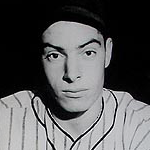 DiMaggio would go on to become recognized as the greatest all-around baseball player of his era. For our purposes, though he was and is — after Lefty O’Doul, of course — San Francisco’s most popular home-grown ballplayer — and the little playground where he first played ball to escape from crab fishing now bears his name. Happy birthday, Joltin’ Joe DiMaggio. Most everyone hearing the sound of my voice already knows this, but November 27th marks one of the blackest days in the history of San Francisco. Thirty years ago today, Dan White — ex-cop, ex-firefighter, and a man filled of rage at being made an ex-Supervisor — loaded his service revolver, walked into City Hall and assassinated first Mayor George Moscone, and then Supervisor Harvey Milk. Moscone was a very popular mayor, but somehow this has become Harvey Milk’s story. I shouldn’t need to tell you much about Harvey. His life is kind of a capsule history of the gay rights movement. In the ’70s, Milk had gone from being in the closet to coming out as a political activist to becoming the first openly gay man elected to any serious political office in the country. He was charismatic, audacious, intelligent, popular and — in the face of the myriad threats of death and violence against his person — incredibly brave. His killer was charged with first-degree murder, but though Dan White had brought a loaded weapon, carried extra ammo, sneaked past metal detectors and even stopped to reload between killings, his defense team denied that he had premeditated the murders. Depression and “diminished capacity” to make decisions were argued in defense of the clean-cut young man, and the straight, white, conservative jury felt sympathy for a guy who looked like one of their own, and … well … I could go on to tell you the way this sorry story turned out, but rather than dwell on the murders, I’ll defer to the effort and energy of Gus Van Sant, whose little film on the subject of Harvey Milk’s life is being released this very week. The movie is called Milk and stars, among others, local character Sean Penn. The early reviews are overwhelmingly positive, so why don’t we all go have a look, and celebrate the life of Harvey Milk, the “Mayor of Castro Street”.